It's been an exciting month so far at The Woolery, we have all kinds of awesome new stuff to share with you. Let's get right to the goods! You know we love a gorgeous handmade spindle, and these are no exception. 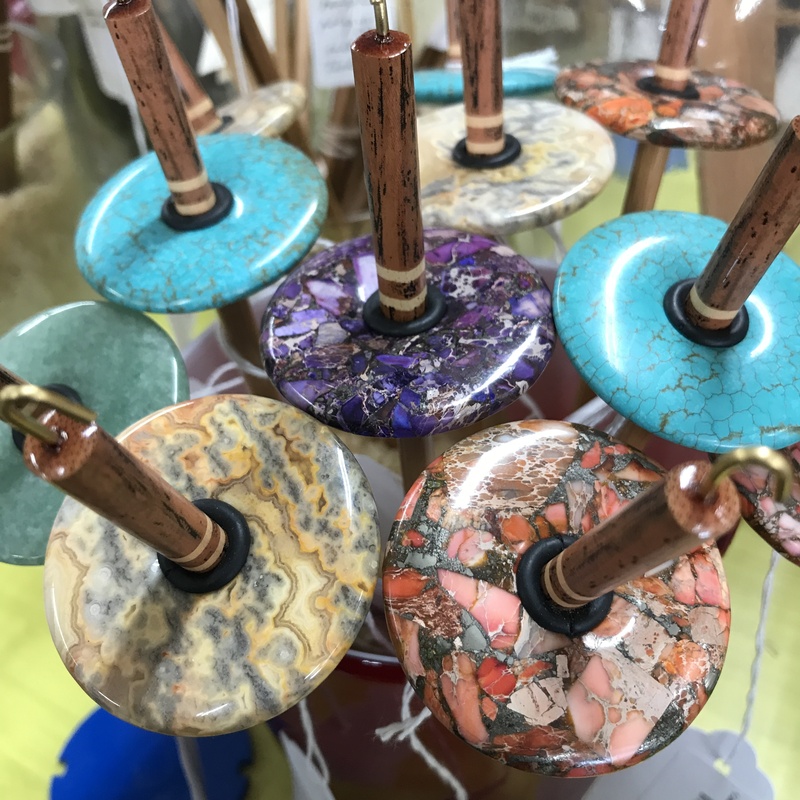 These beautiful drop spindles are handmade by Anna Anderson. 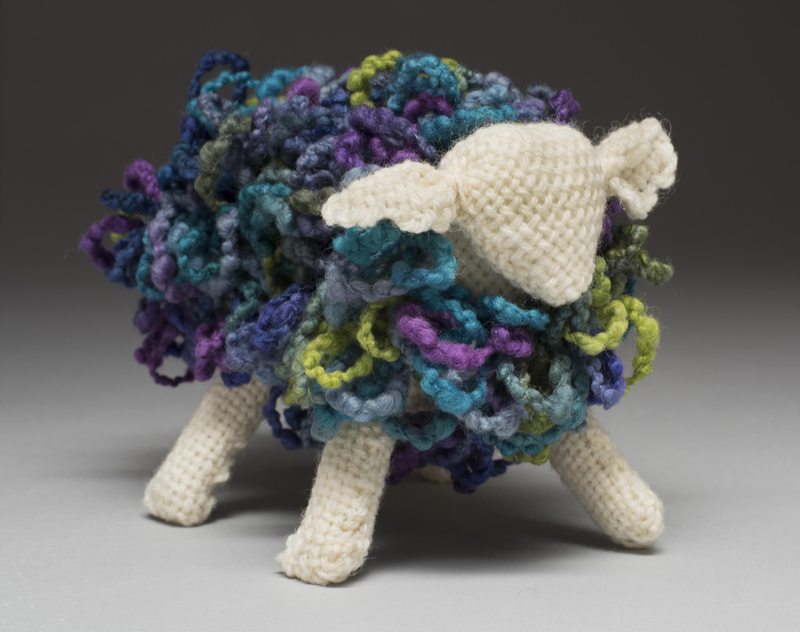 She uses the proceeds from the spindles to fund her organization, Wooly Rescue, which helps fiber animals and horses suffering from neglect. These spindles weigh 1oz to 1.25oz and each are tested for smooth and balanced spinning. We have five different stone options for you to choose from. 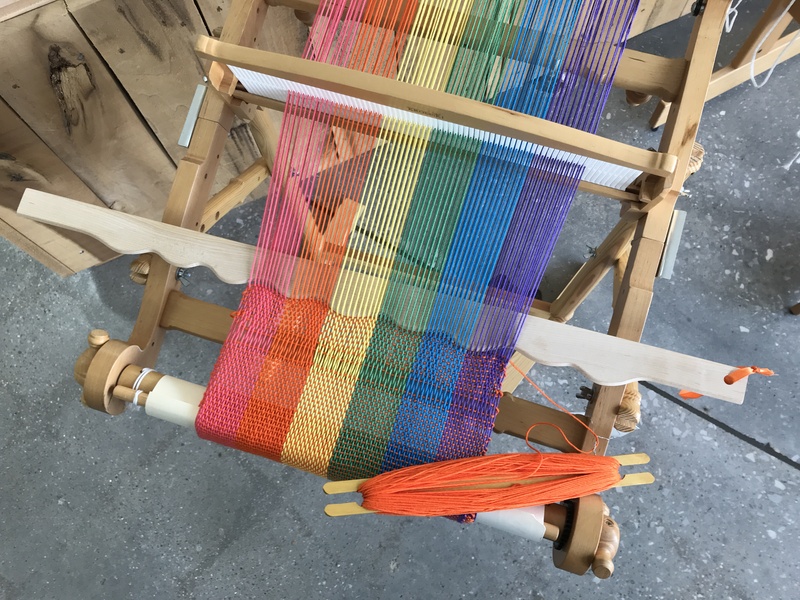 This is a great way to mix up your weaving and add some uniqueness to your next project. The Supplementary Beater comes in two sizes, Large and Small. These are expertly crafted out of hard maple in Rhode Island and are lightly oiled for a smooth finish. Dani shows you exactly how to use this awesome tool in the video above, it's a super economical way to have a bobbin winder at home! Use with your cordless screwdriver / drill (not included). Place your boat shuttle bobbin on the end and go. Makes bobbin winding fast, easy and efficient. Made specifically to fit Schacht and Leclerc bobbins; it will not fit Ashford boat shuttle bobbins. Designed by Nancy Reid, Woolery’s own weaving teacher, this kit has everything needed to weave 4 placemats, a table runner and 4 napkins using Cestari’s Monticello Collection, a blend of 75% Virginia cotton and 25% linen. 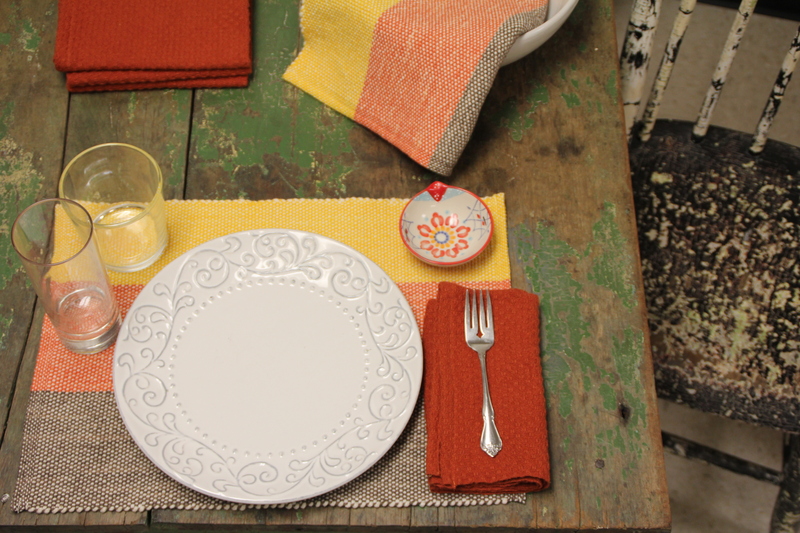 The placemats and table runner are in plain weave and the napkins are huckle lace. We have 4 different color schemes for the kits, Spring, Summer, Fall, and Winter. We have loved the Zoom Loom Swatch Critter Kits from DJE Handwovens for a long time, they're the perfect answer to the question, "What do I do with these little squares from the Zoom Loom?" We're super excited to have some new critters for you to weave! The kits come with the yarn and all the instructions to make the cute little critters. These aren't actually a new product, but we did just get a brand new shipment of them in and they always sell out quick. Plus, we just dropped a YouTube video explaining all the different shapes and sizes of Jenkins spindles that we carry. Ed Jenkins’ life passion is working with wood, producing items with creativity, ingenuity and years of experience. Each spindle is made one at a time by Ed’s hands without computerized machinery. Each of Ed’s spindles is a one-of-a-kind work of art. Please note that the pictures shown are a representation of the colors and grains typical of the various wood types. Some spindles will also have hand-drawn designs or decorations on them. If you have questions about a particular spindle, please contact us or call the shop at 800-441-9665.